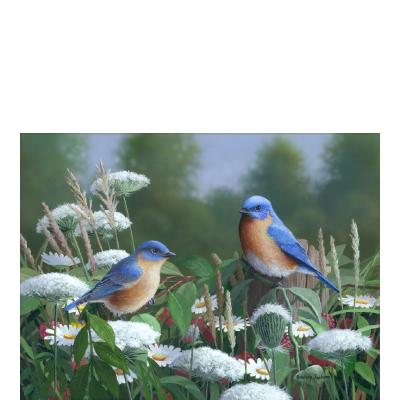 This scene was painted from viewing these Blues working the underbrush in the field across the road from our house in VT. 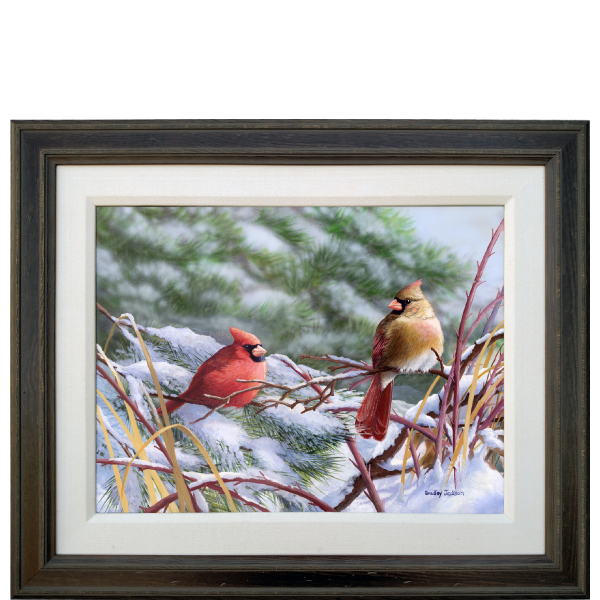 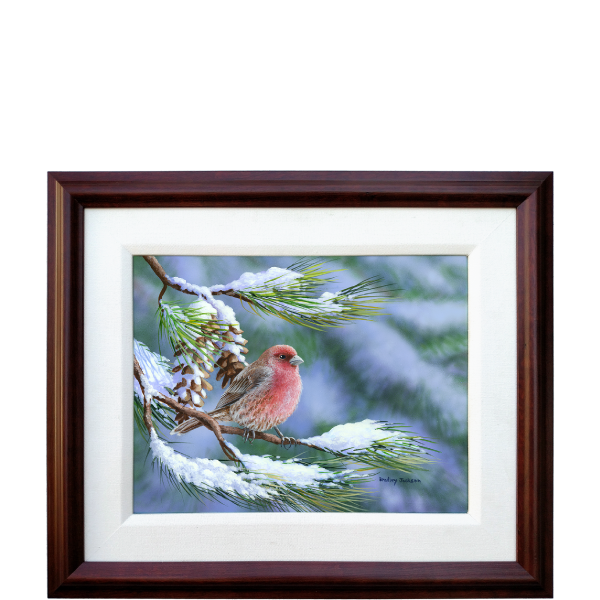 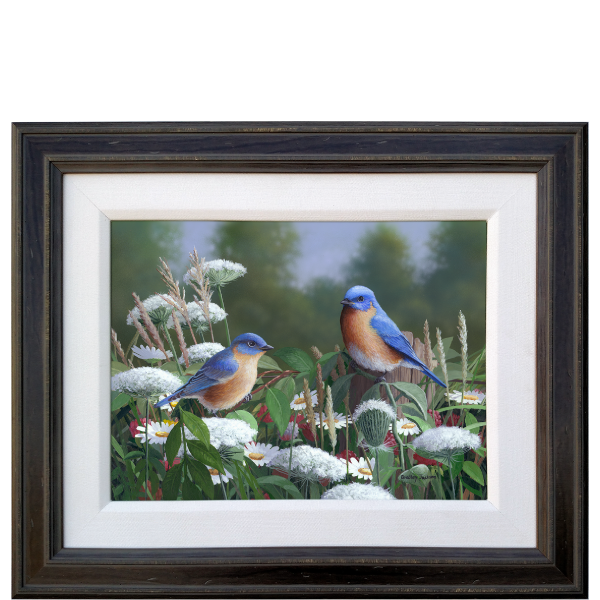 The original painting “Lacey Blues” is an acrylic painting of Eastern Bluebirds on a gessoed masonite board. 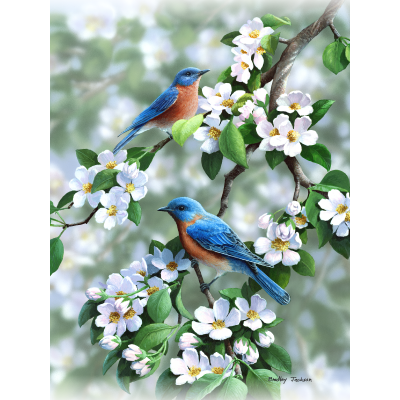 Copyright © 2019 Bradley Jackson.